Oh there is so much to tell you – so many new goodies and events to share it’s difficult to know where to start! 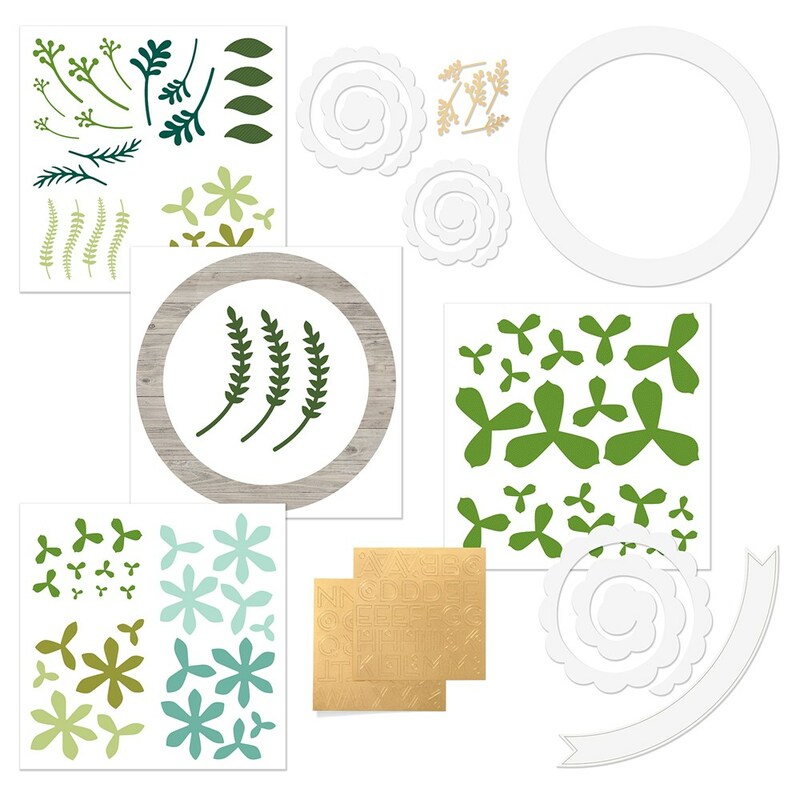 But, as this particular item is only available this month, I’ll start with the National Papercrafting Month kit …. the Welcome Home wreath. You can create and copy it as is, or you can totally personalise it. Of course, it has full colour instructions, and two sheets of gold lettering so you can title it however suits you best. Now have I told you about the best part yet?? 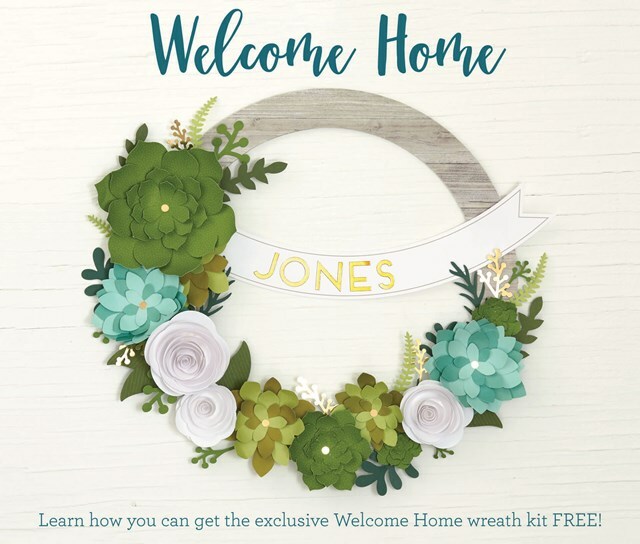 You can get this wreath for FREE!! Place a $90 order on my website or with me, and you will receive this for FREE! Host Gathering/class with me, when your sales reach level 2, you will receive this for FREE, along with your other goodies. 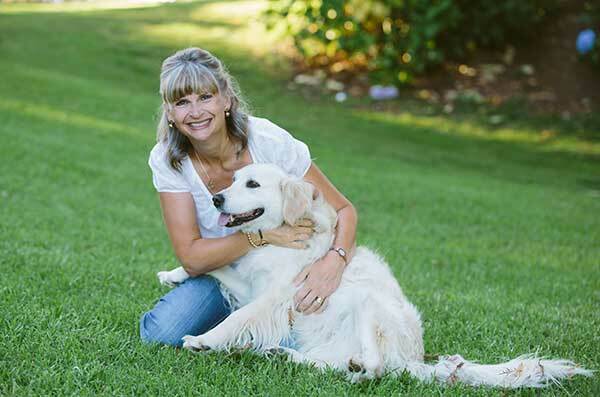 Join my team in January, and this will be added to your new consultant for FREE! You can purchase the kit for $32. How amazing is that?! And let me tell you, this looks even better in ‘real’. Don’t delay, as this kit is available this month only while stocks last. And on the subject of beautiful, how could you resist the products in our new Seasonal Expressions book. 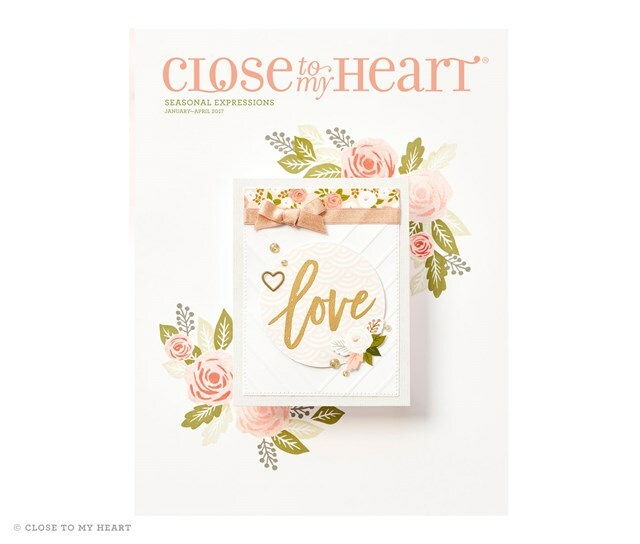 Just released, this book and it’s products will be around for just 4 months, so don’t delay planning your projects with these stunning papers. And I can’t resist mentioning the gold shimmer brush as I know how many of you love our standard one – now you can add finishing touches with a beautiful gold. OK – so you want to check out the rest right??! Click HERE to view the book online. OR receive your free copy with any purchase with me this month. I am so looking forward to sharing lots of inspiration through beautiful artwork created using products from this book – stay tuned!